Brides-to-be in London are already copying Meghan Markle’s wedding look complete with a “very, very long veil”, according to a top bridal designer. Ian Stuart, owner of The Blewcoat in Westminster, said the bateau neckline of the Duchess of Sussex’s Givenchy gown has proved popular since the ceremony two months ago. Brides were also looking for veils like the five metre-long creation designed by Clare Waight Keller, the Briton in charge of the French fashion house. Mr Stuart added, though, that most brides were not keen on the “simple, plain” silk of the dress. “Most brides still want a bit of sparkle,” he said. The designer, who opened his own store in 2002, has recently finished filming for Channel 4 documentary-soap The Posh Frock Shop. Mr Stuart was approached by Bafta-winning director Brian Hayes, who has worked on 24 Hours In A&E and First Dates, to create a show. The programme is set in his store in the National Trust-owned Blewcoat School. 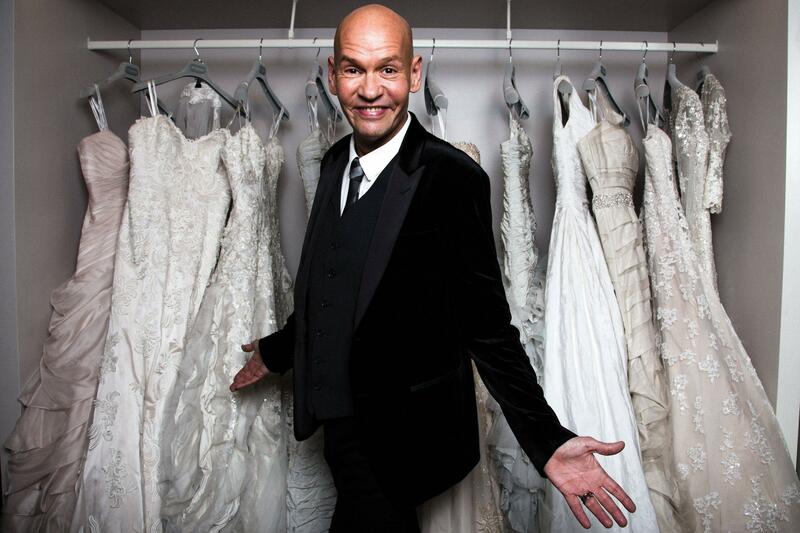 Each episode tells the story of one customer buying a gown from his bridal, special occasion or eveningwear collection. The show has been a huge success and is regularly on the most-watched list on Channel 4 catch-up service All 4. Mr Stuart said its popularity was down to the spectrum of people it featured. “We have everyone in our store,” he said. “No matter who you are, what shape, size or age you are we welcome you here. The final episode will air tomorrow at 5.30pm.